After taking the free shuttle back into Memphis we found somewhere for lunch on Beale St, settling on the Jerry Lee Lewis Bar. Everywhere you go (inside or out) has live music playing - its a great atmosphere and with Blue Moon Beer on draft in 2 pint glasses Dan was a happy chappy. We shared a couple of starters of fried fish and ribs, though as usual the portions were enough to feed a small country. Then we spent the rest of the afternoon watching the bands and street entertainers. We then walked back to the hotel and changed for dinner at a place we had prebooked when planning the trip. 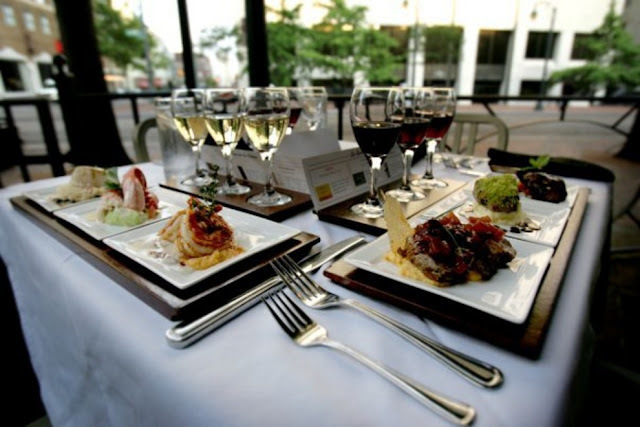 The restaurant is called "Flight" and the concept is based on the "flight" concept you often see in American restaurants where a different (or flight of) wine is served to compliment each course of your meal. Here though it's taken one step further where instead of ordering a single main course you order a flight of meals - basically you get a smaller portion of any main course on the menu. Have to agree with one of the comments on trip advisor - this place is an absolute find and would not be out of place in New York - Los Angeles - Paris or London. To put it simply one of the best restaurants I have ever had the pleasure of eating in. We get a good nights sleep until 6am when the whole of Memphis is awoken by the blaring horn of the arriving Amtrak train. (I presume as a local you just become immune to it). 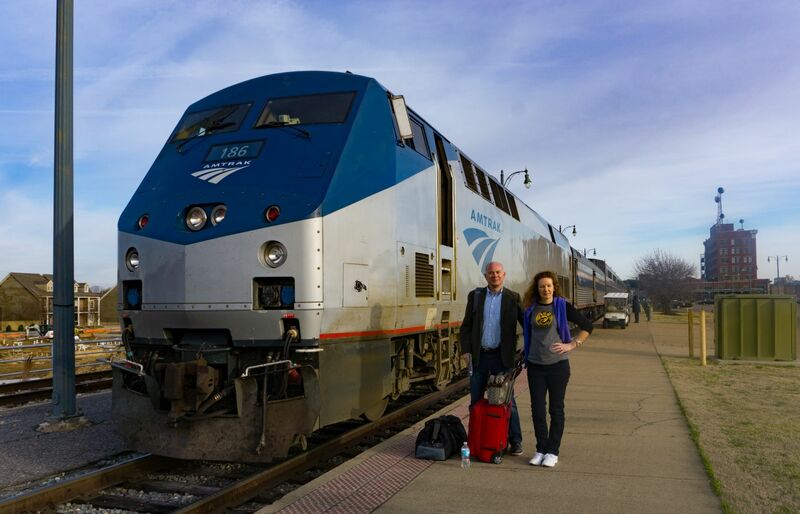 The train sits in Memphis station for 2 hours so we have plenty of time to get ready and walk back to the station. A very full day in Memphis completed though it feels like we have been here a week. We're all aboard by 8.00am and are shown to our room (for this leg we have booked another bedroom as its a long trip and it will be nice to have some peace and quiet. This room also has the advantage of using the entire width of the carriage so you get windows on both sides of the room) .Our coach manager advises us that breakfast is now being served in the dining car and as we sit down for breakfast the train slowly pulls out and begins its 8 hour run down to New Orleans. 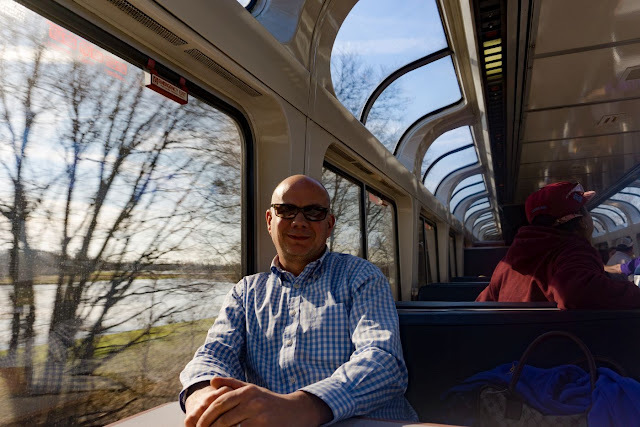 The train has an observation lounge but unfortunately my plan of passing the day sipping a cool glass of Sierra Nevada IPA has a flaw. Its Sunday and because the train passes through several "Dry Counties" anything with alcohol is off the menu - just need Richie Sambora to sit in the corner and play the guitar solo. The scenery is quite flat as we pass through Mississippi changing from corn fields (with crop dusting planes flying over like a scene from North by Northwest) to strawberry fields as we get further South.. Then slowly it changes to swamp lands and submerged Cypress trees covered in Spanish Moss. 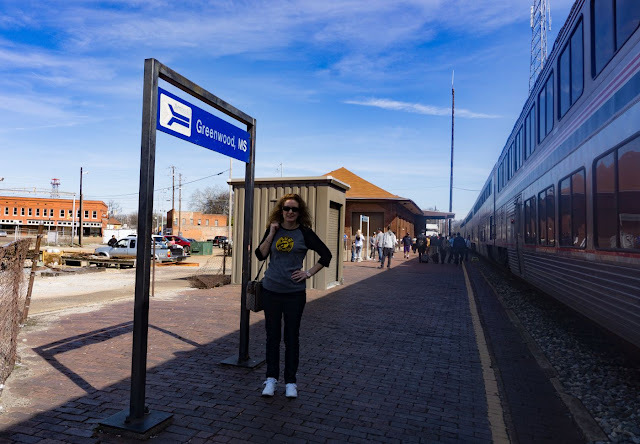 The time passes quite quickly broken up by a few stops in one horse towns where you can get out and stretch your legs and lunch in the dining car. 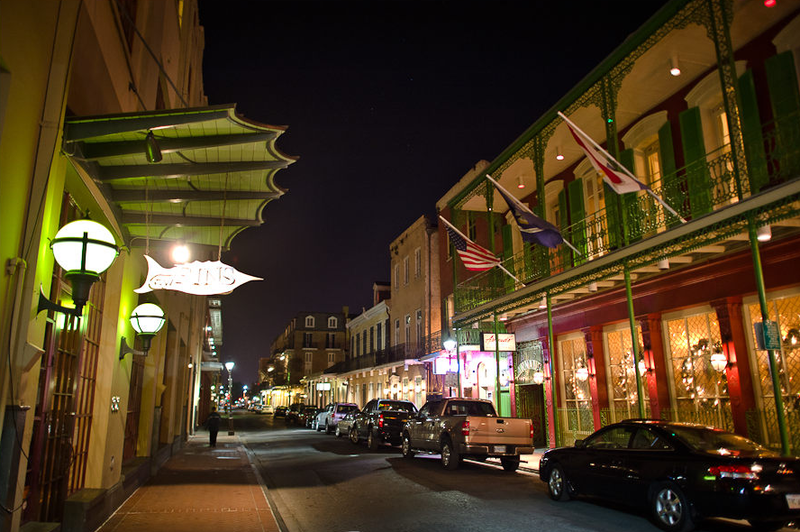 New Orleans is a much busier and much larger city than Memphis. A short taxi ride takes us from the station to our apartment for the night. Then its straight out to explore (The beauty of traveling by train is you arrive bright and refreshed and in the heart of the city). Once again we have chosen and pre booked ourselves into a restaurant after researching before the trip (This turned out to be a good policy as both restaurants were fully booked on the nights we ate and we would have been really disappointed to find this out had we just turned up with no reservation). The restaurant in question is called "Fins" a seafood lovers Xanadu. Jackie orders the house specialty "Scalibut" - its a fillet of Halibut baked in the oven with a coating of sliced scallops laid (like fish scales ) on top and served with a lobster risotto.. It looks as good as it tastes. I have the Bluefin Tuna with a veal jus - its melt in the mouth stuff despite being served so rare it could swim off the plate. Another truly exceptional restaurant. 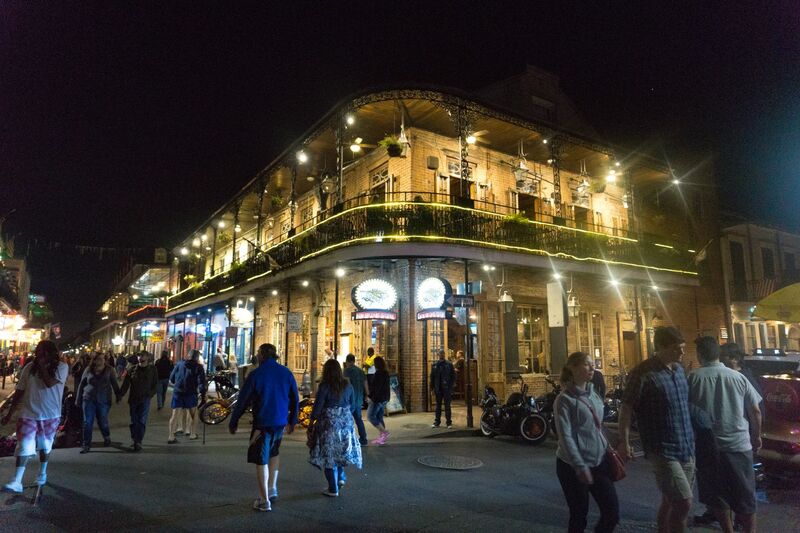 Our waiter also gives us some great tips on where to go to get the best of New Orleans at night. 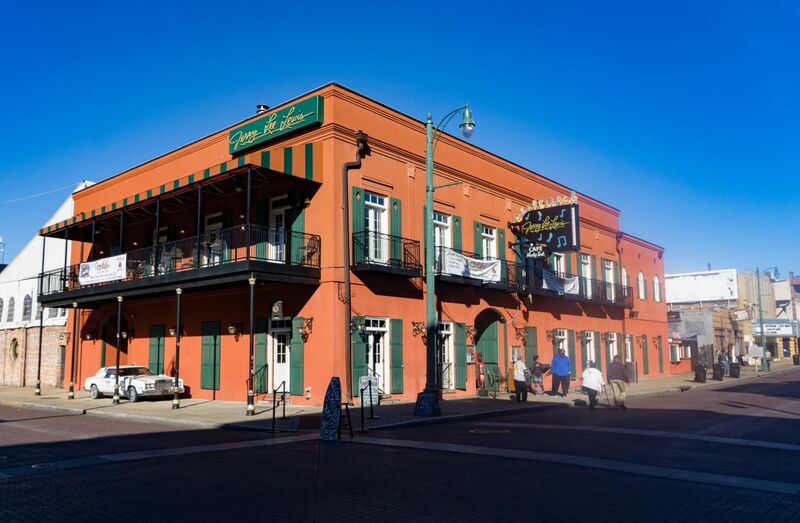 The most well known area is of course Bourbon Street but its become over touristy with cheap bars - poor music - and no soul whatsoever. Its worth a look just to see how mad it is. 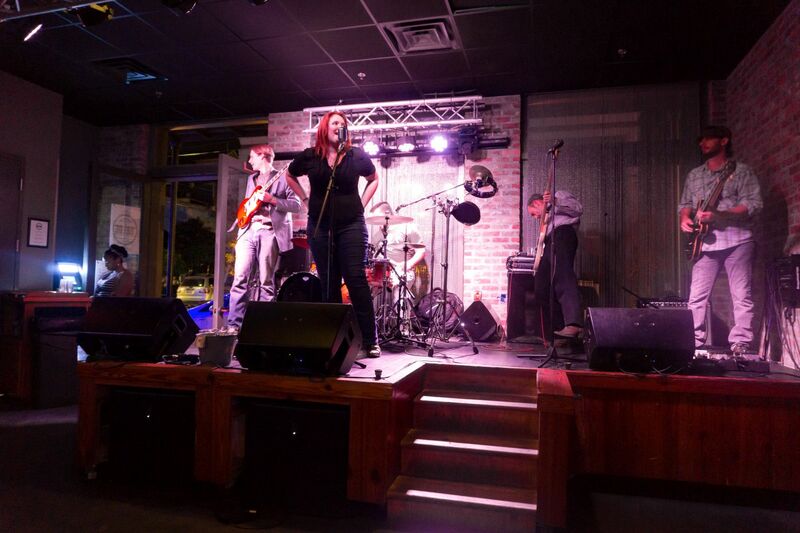 We head further north where the the music is one step beyond cover bands and karaoke. Its a late night but at least we don't have an early train to catch tomorrow, our plane doesn't leave till tomorrow evening. 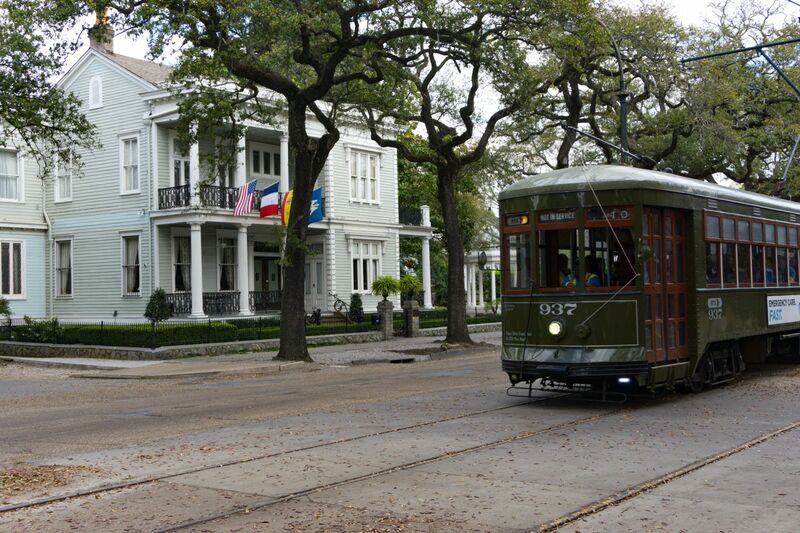 In the morning we catch one of the old Trolley buses out to the garden district. A pretty area of New Orleans filled with Southern style Mansions set on tree lined roads. You can travel around all day on the trolleys on one ticket so its ideal. 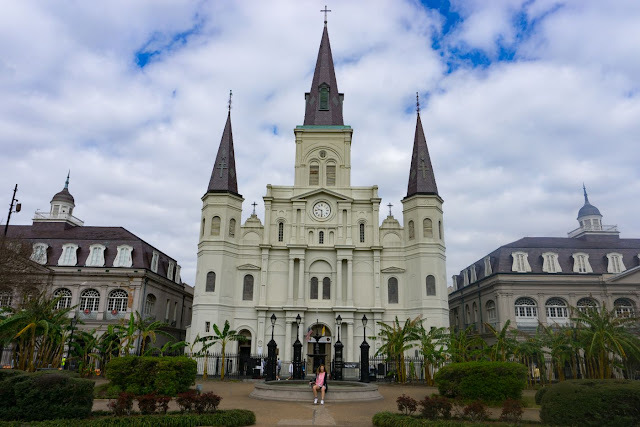 We then take another trolley to the Cemetery and then one down to the waterfront and from there walk back to the French Quarter passing the Cathedral. We also stop for a lovely lunch at the excellent Kingfisher restaurant in the French Quarter; ordering from the small plate menu - gumbo for Dan and crawfish and artichoke gratin for Jack (which is so good we order another). 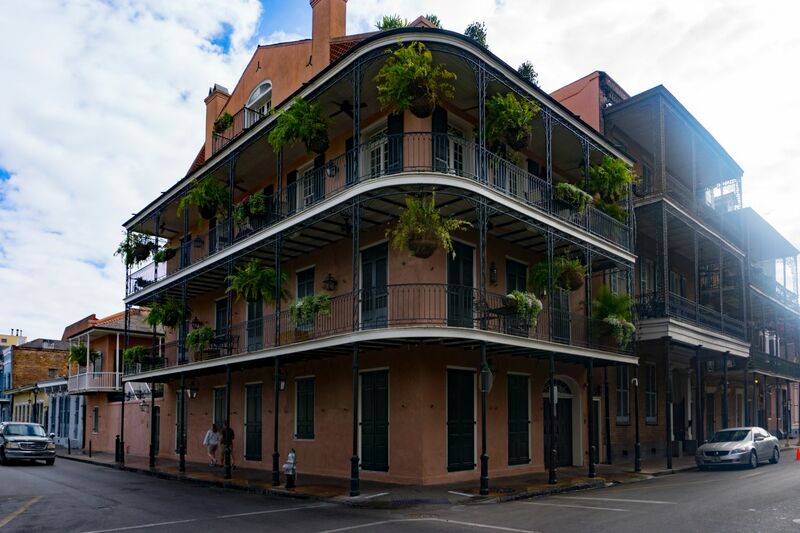 The French Quarter is really pretty during the day with all the wrought iron balconies adorned with flowering baskets. Then its a short cab ride to the airport to take a flight to Anaheim California. We decided to fly directly to Orange County rather than LAX as its so much closer to our hotel in Anaheim and after a 4 hour flight to John Wayne Airport we are in a cab and heading to Disneyland.